We've also improved the design for assigning Pinpoint Assessments. 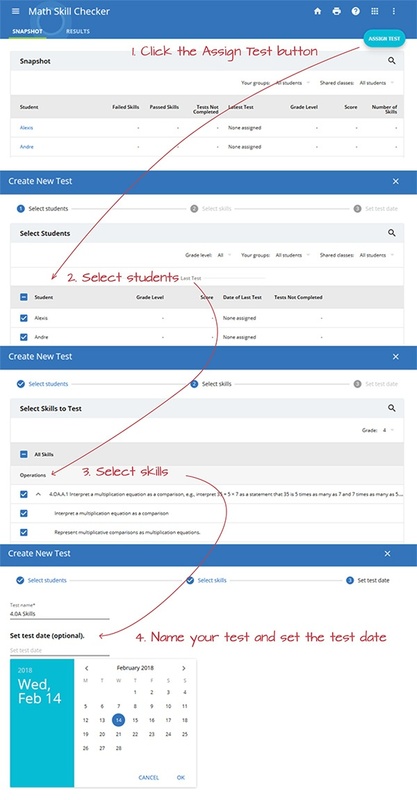 Follow the easy flow below to make changes to students, skills, test type, or test dates. Not sure which assessment is right for your class? Call us at (888)793-8331 or email at support@mobymax.com. We are here to help!